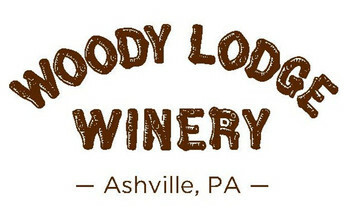 Tucked away in the hills of the Allegheny Mountains of Central Pennsylvania, we made our wines public from amateur wine making to professional wine making in fall 2013 when Woody Lodge Winery was born. 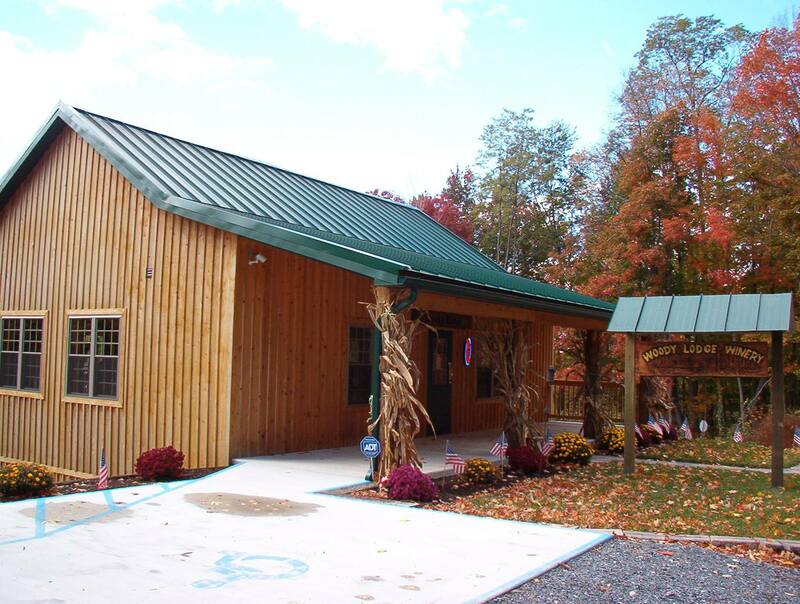 The love of fine wines has made our lodge the heart of Ashville, Pa and the surrounding area. We are constantly growing and adding to the your experience at our lodge. We offer a cozy rustic atmosphere with an elevated deck that is perfect for a romantic date, or time with friends. Entertainment is offered weekends, no cover charge and you can call ahead to reserve a table. Our main varieties include Chardonnay, Riesling, Pinot Grigio, Traminette for our main whites and Cabernet Sauvignon, Merlot, Pinot Noir, Chambourcin, Concord for reds. We also have fruit wines and dessert wines for you to come and sample as well. To have our wines readily available in the surrounding areas, we have began to offer them in Giant Eagles, Martin's grocery stores, Levity Brewing in Indiana, Pennsylvania as well as some local six packs. Our complete list of locations can be found at our locations tab on the website. We opened our first satellite location downtown Indiana, Pa in Spring 2018. Its the place to be on your lunch hour, you can bring in your own food, have a glass of wine and socialize. The option to rent our facility is available at both locations for private parties, bridal showers, baby showers, even small and intimate weddings. Click on the contact us button to email us for more information. Come and taste the experience for yourself, you'll feel right at home.